It’s time to celebrate 100 years at the building you may remember as “Moscow High School”, “Whitworth Junior High”, or simply “The Annex” and we need your help. If you have special memories of Moscow schools and in particular of this beautiful, historical building on Third Street now known as the 1912 Center, we hope you will share your memorabilia and mementos during our centennial festivities. 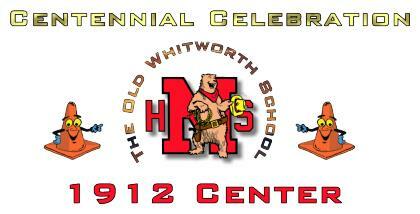 The Centennial Celebration of the 1912 Center begins in September and it will include a display of these shared items. The display will be available for public viewing from September 6, 2012 through January 28, 2013. There will be an opening reception on September 7, 2012. You are all invited. Some suggestions include photos, letterman’s jackets, annuals, school newspapers, trophies, and written stories of events remembered. Please label all items and include instructions for their return unless you wish to contribute your items to our permanent collection.